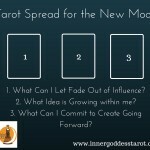 Last time, we talked about how to get the most out of your Love and Romance themed Tarot reading. If love is the number 1 topic that people come to see me about, can you guess what comes in second? I bet you can…yes, it’s career. You might have thought money, but really it goes deeper than that. Some of my clients may be concerned about money, about how to ensure their financial stability and invite abundance into their lives, but when we’re talking about career, we also bring in the idea of life purpose. Often times, people come to me because they are in a job that is OK, it pays the bills, but it doesn’t feed their soul. They are asking themselves if this is REALLY what they were put on this planet to do, is this really all there is. Of course, it isn’t necessary to find fulfillment through your job alone, there are plenty of other ways to express who you are and contribute to the world. However, many of us spend the majority of our waking hours at work, and if that work isn’t enriching our lives on some level, or if we can’t make peace with finding joy exclusively in our free time, we may find ourselves in a place of frustration, desperation, that my precious time is being wasted (believe me, I have been there). 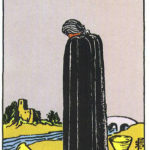 The Tarot can help us to move beyond those vague feelings of wanting change (but not knowing what that change might be) and can also help us to make good decisions when we are presented with several concrete career/job options. 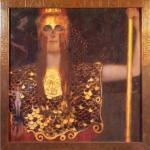 This was my first tip in Love based readings as well, and you’ll see it again as I cover future topics. In career based readings, a common question is, “Will I ever get a job/a new job/a different job?”. Now, is this helpful? If the answer is NO, where do you go from there? If the answer is YES, then what? This kind of question implies that you have no say in the matter, that you are subject to fate, that there is nothing that you can do to reach your career goals and dreams. I try to gently shift the question towards something more empowering, for example, “How can I get a job that I love and that provides financial stability/abundance?” Or, “What steps can I take to get a job that I like within the next 6 months?” Or, “How can I progress along my career path?”. These kind of questions give insight into what may really be going on, what resources and challenges may exist, and help to formulate a plan of action. If you are the client, take some quiet time for yourself, ideally a few days before your reading, to think about what it is that you most want to know. The question that you really want to ask the cards, that you truly want the answer to, may not be fully formed in your heart and mind, or it may be so big and life changing that you aren’t ready to say it out loud, even to yourself. If you are coming to the cards because you want to bring change to your career, what might this ideal change look like? What are you hoping for? How might you be limiting yourself by thinking too big or too small? What is important to you in terms of career – is it stability? Variety? Freedom? Prestige? Making the world a better place? Think about these things beforehand, jot down some thoughts, and then when you arrive for your reading you’ll be able to hit the ground running. It can be very helpful to get specific with career related questions when possible. Starting with a general reading about career options and atmosphere is useful, but if you or your client is considering one or more particular opportunities or career paths, it usually makes sense to take a look at each one specifically and see how they compare and contrast with each other. That being said, always keep an open mind to other job possibilities that may show up in the cards that you are currently unaware of. Be sure to keep some balance in your career-related reading. If you are the client, you may be looking for greater fulfillment and a feeling of making a contribution to humanity, but you are still concerned with the daily realities of paying your mortgage, saving for a rainy day, and enjoying time with your family. Make sure that you and your reader address the various areas that a change in career/job may impact. 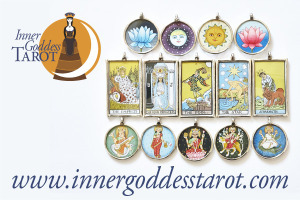 As with every reading, we can focus on a particular topic or theme, but in reality all aspects of our lives are interconnected in some way. Keep in mind that you may be asking about career, but information about love, family or our complex relationships with money will likely show up in the cards. Approach the reading without preconceived notions or expectations, be open to the message that unfolds. 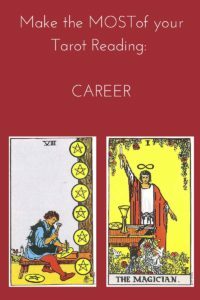 If you are looking for a fulfilling and rewarding profession, or if you need some insight into what kind of career may best bring out your talents and skills, consult the cards for their sharp and profound perspective. They may confirm what you already know deep down, or they may surprise you by presenting options and opportunities that you were not aware of. 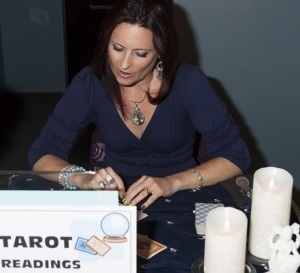 Navigate your career path with clarity, determination and purpose with the Tarot as your guide! Would you like to consult the cards together? 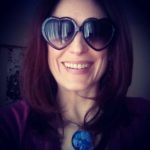 I recommend these powerful and illuminating CAREER email readings…they may be just what you need to clarify your career and life goals. Book yours today! 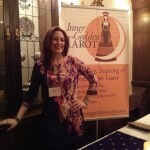 Lori Lytle, Inner Goddess Tarot, happily at work!